← It’s impossible to open my front door! 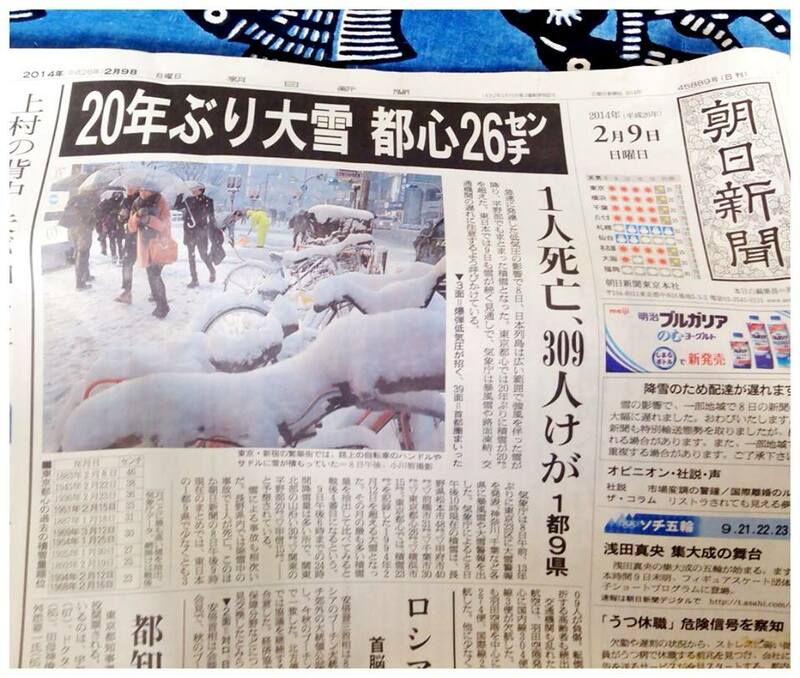 The snow was a 20 year record – 26 cm in Tokyo! It’s clear skies and a balmy 5 degrees above freezing now, but that snow storm yesterday turns out to have been a 20 year record, and a total of 26 cm in central Tokyo. I couldn’t even open my front door for a while. I think I’ll venture out and see what’s happening now. Here is the Asahi Shinbun headline from this morning. And I now return you from the weather channel to our normal broadcasting.